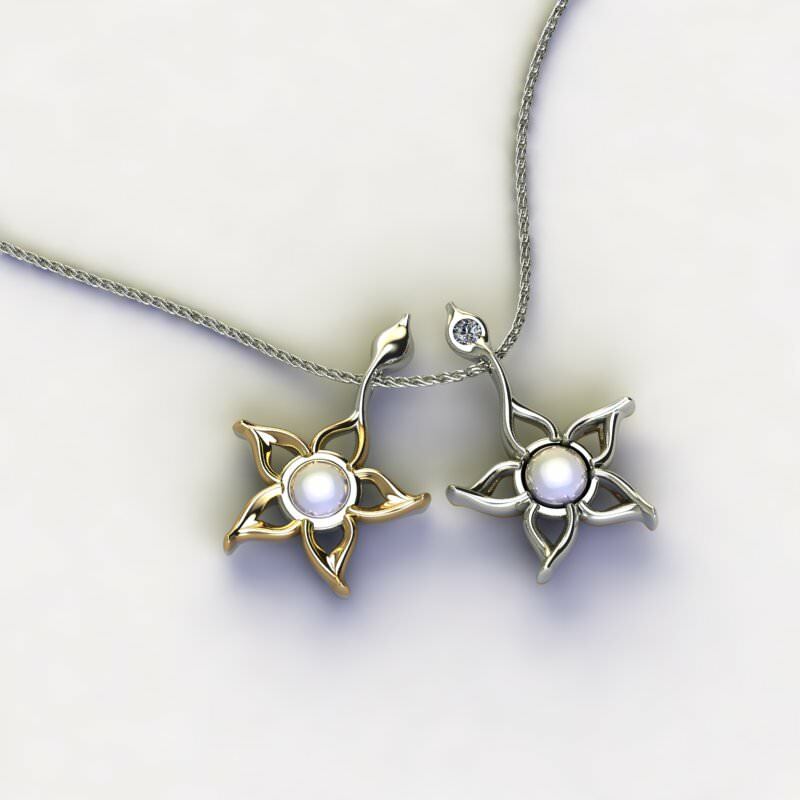 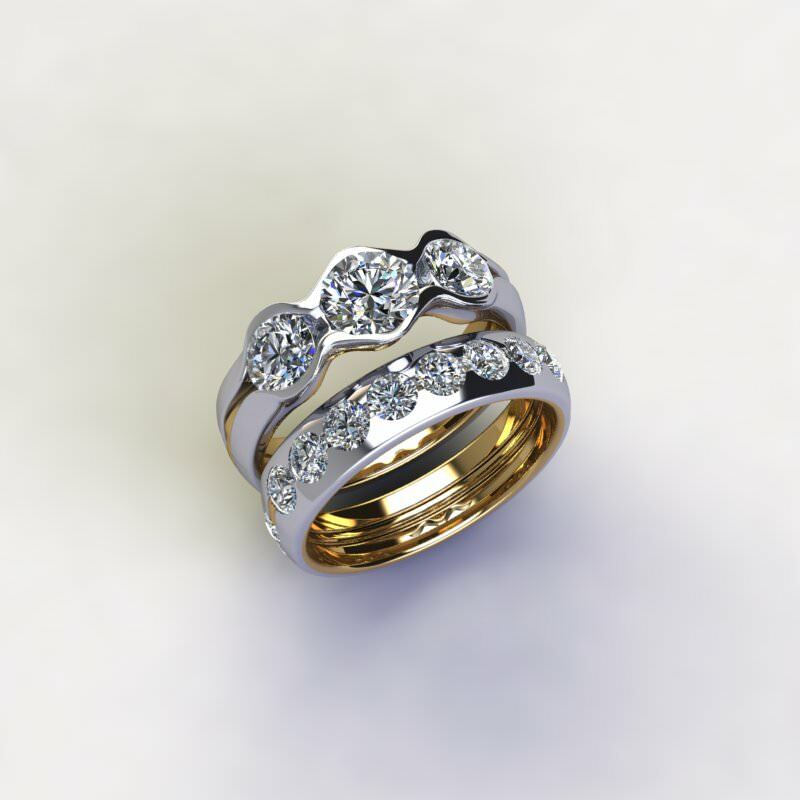 Many people have items of jewellery sitting in a jewellery box at home that are never worn. 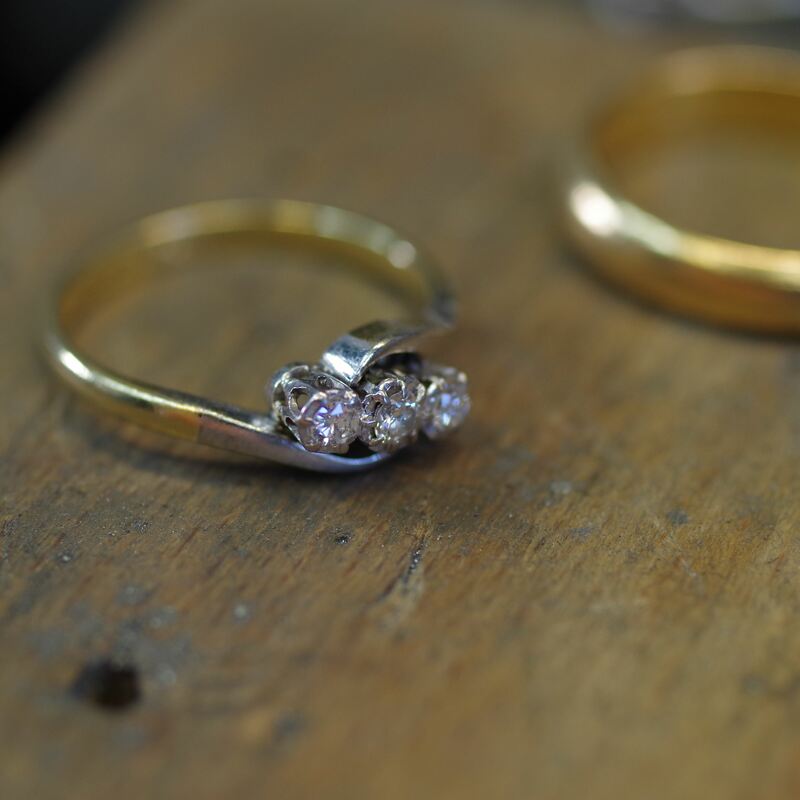 Perhaps you have inherited a piece of family jewellery which has sentimental value but you wouldn’t wear yourself as the style is not to your personal taste? 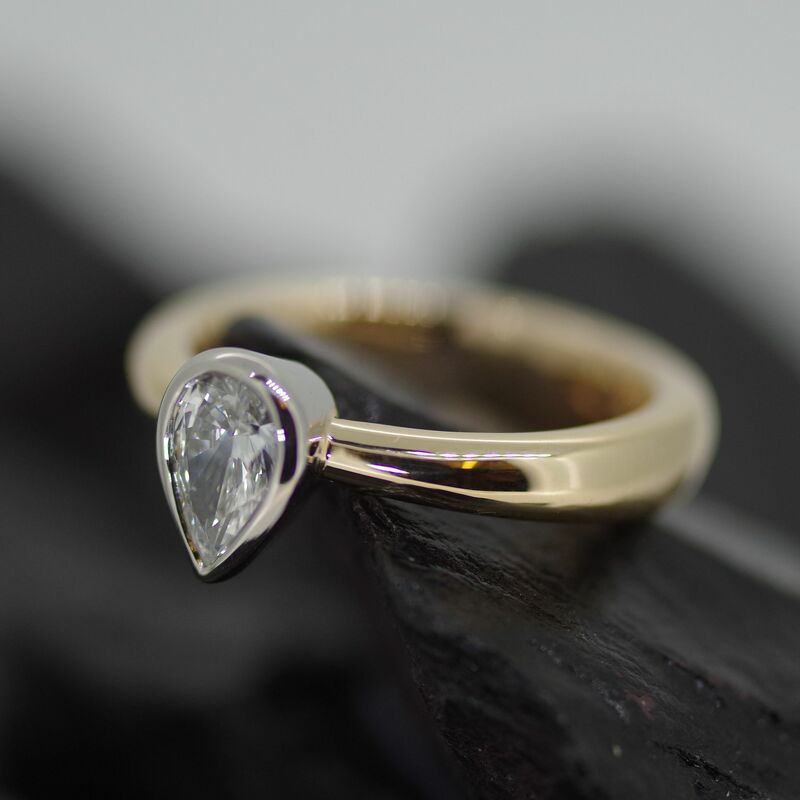 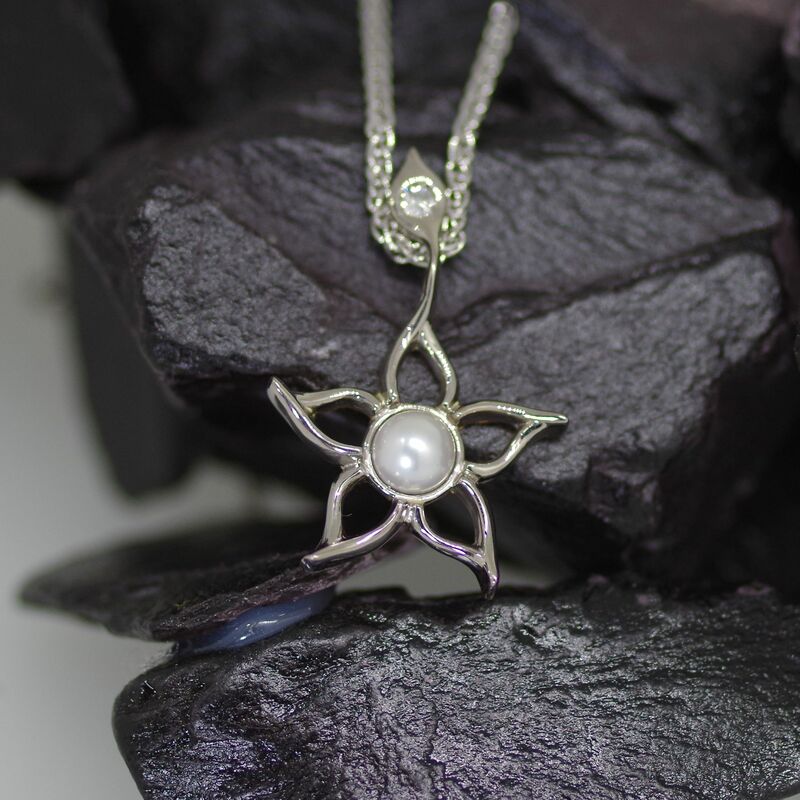 Dot the Jewellers we can take your existing jewellery pieces or gemstones and remake or ‘upcycle’ them into a very beautiful and personal piece of bespoke jewellery that you will love to wear whilst retaining the original sentimental value. 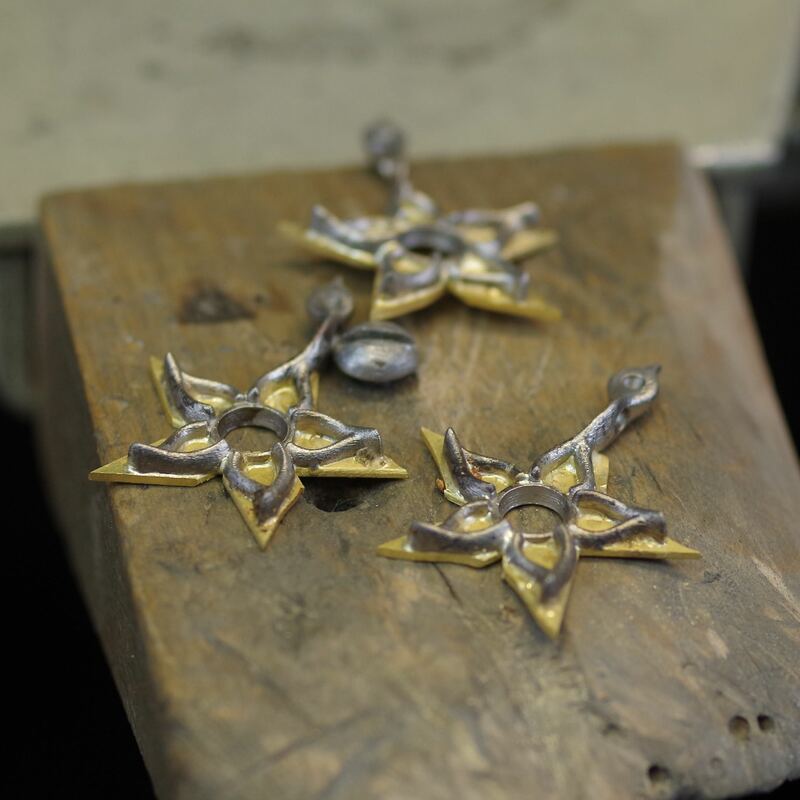 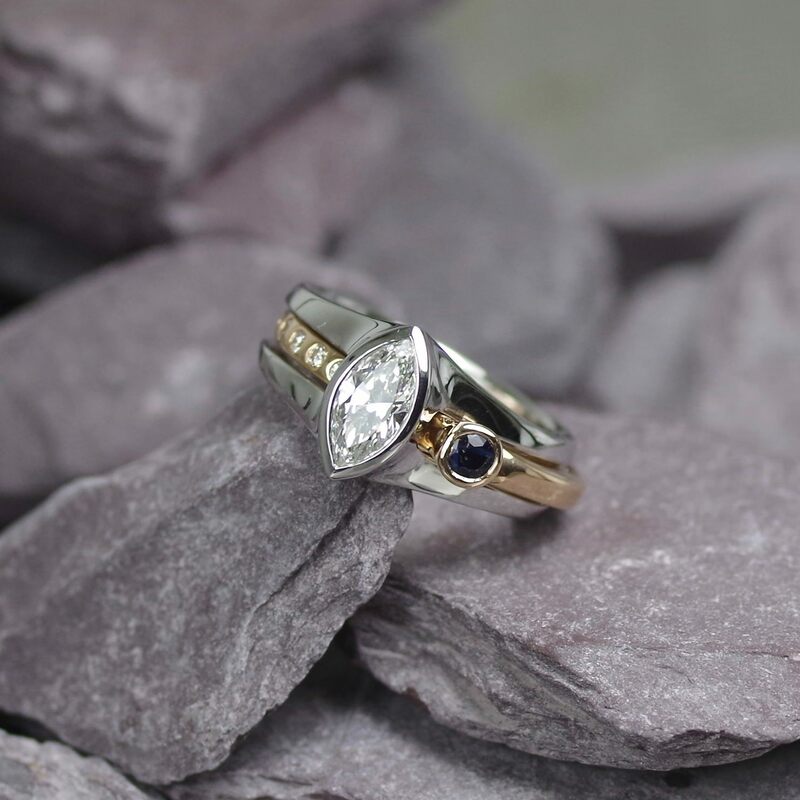 We’ll listen to your preferences and combine them with our inspiration and know-how, to produce a truly unique piece of jewellery that both fits you comfortably and perfectly suits your particular style. 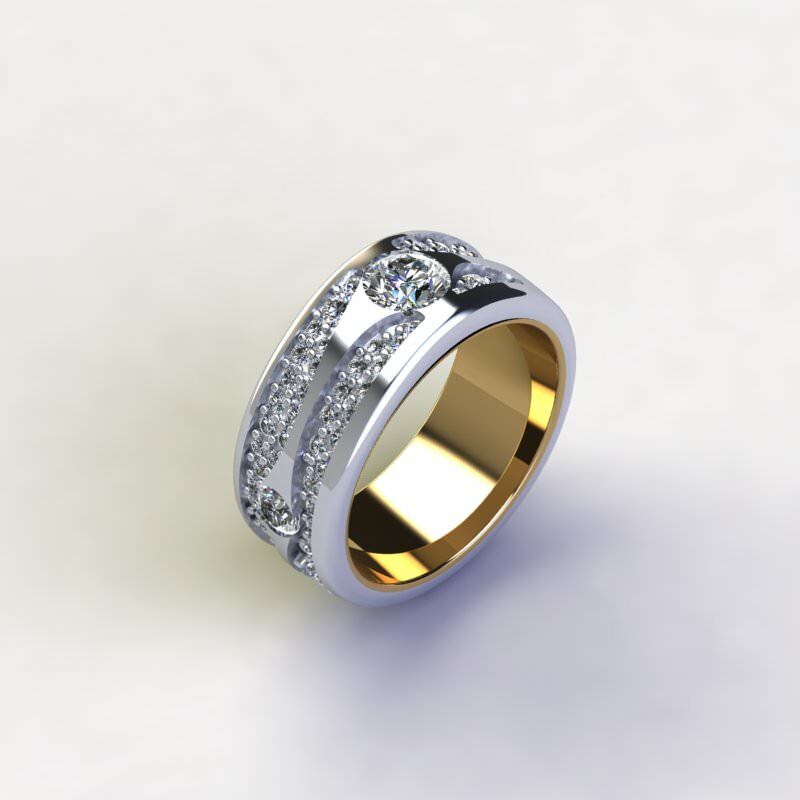 You will be involved in every step of the design process, where we can show you through computer aided design images what the end result will be. 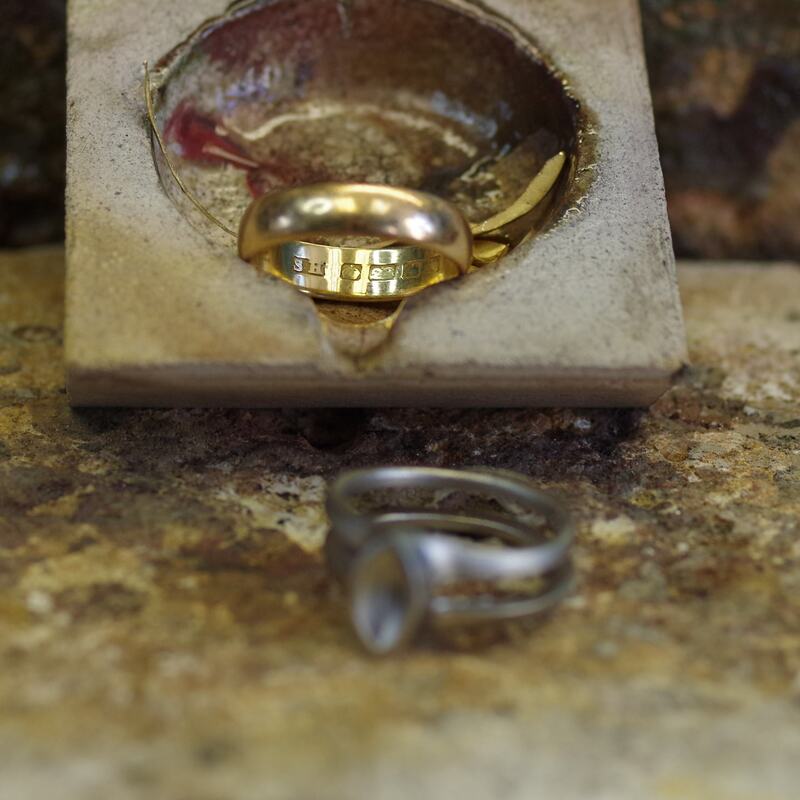 We will not begin work on transforming the original item until you are 100% happy with the bespoke design. 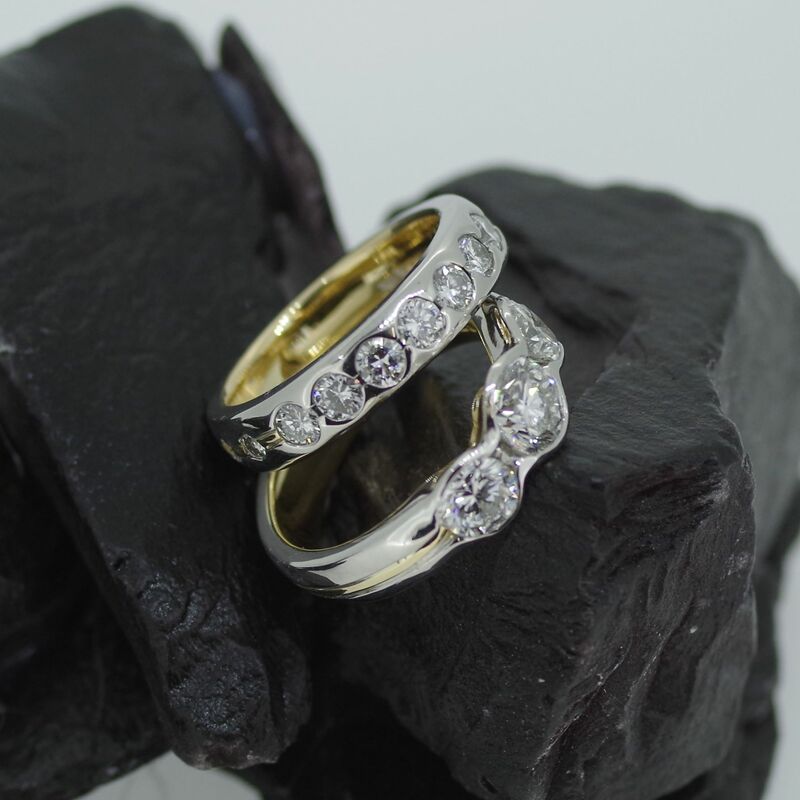 Many of our commissions are ‘upgrades’ where customers would like to give their existing jewellery, such as an engagement ring or wedding ring, a new and improved look. 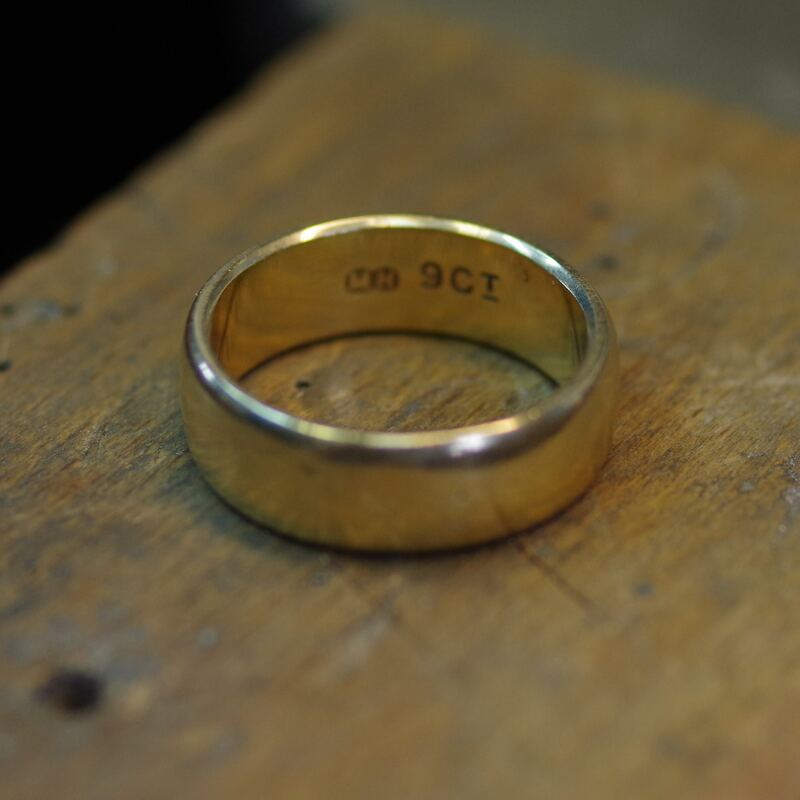 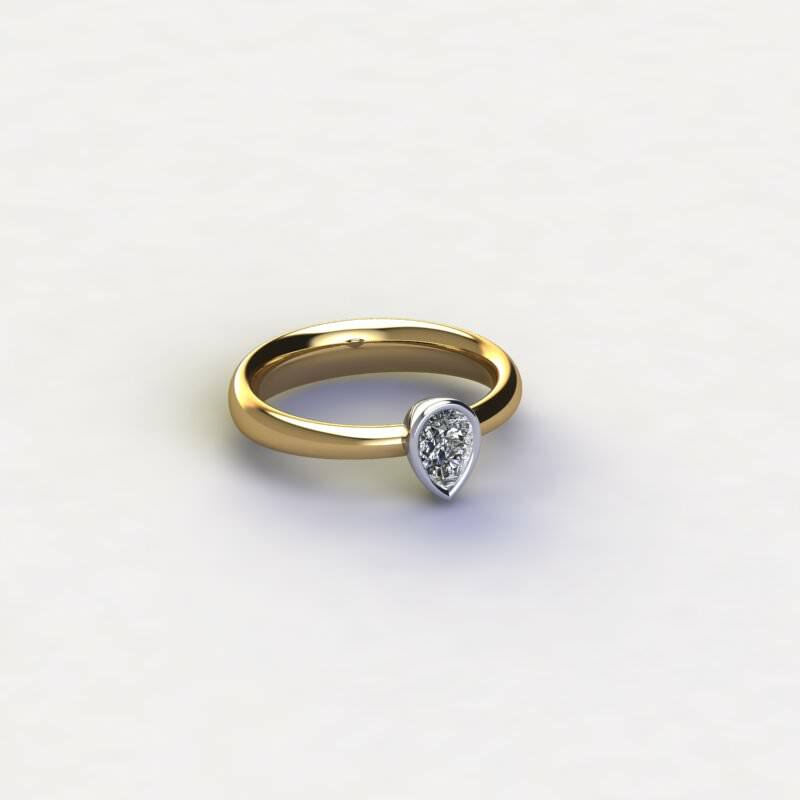 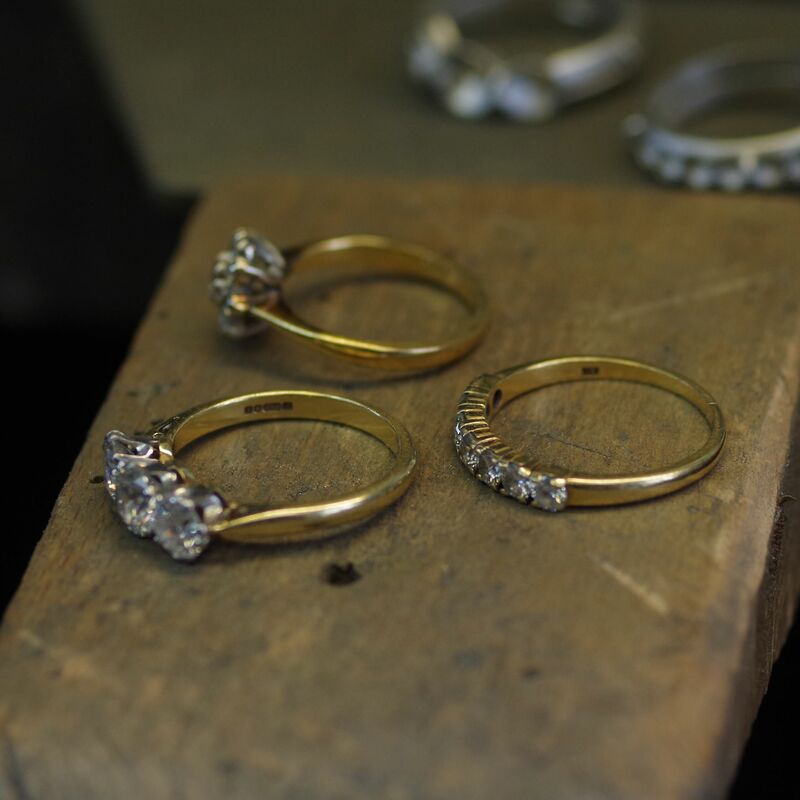 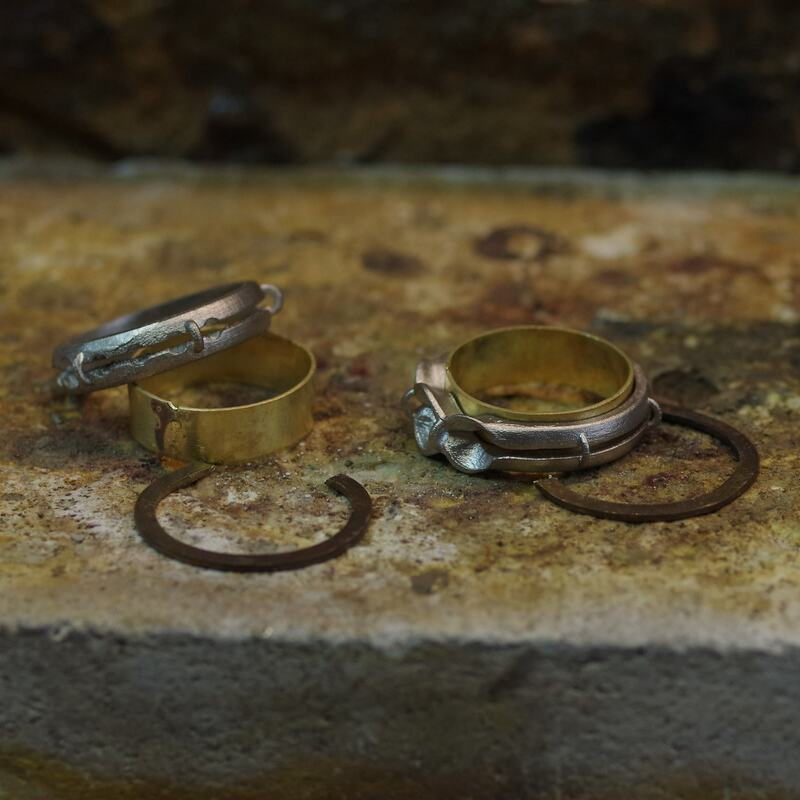 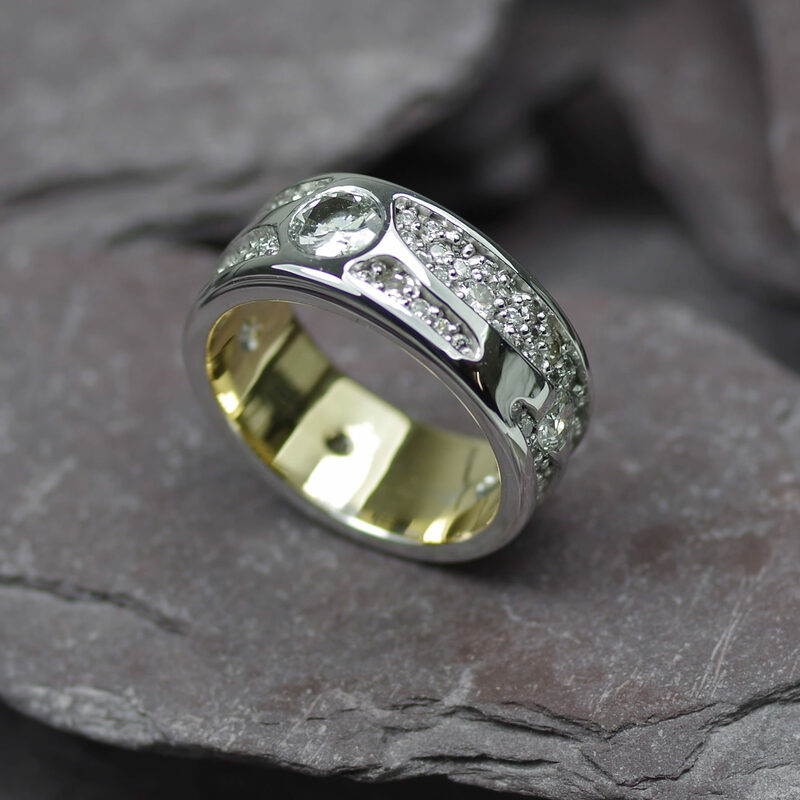 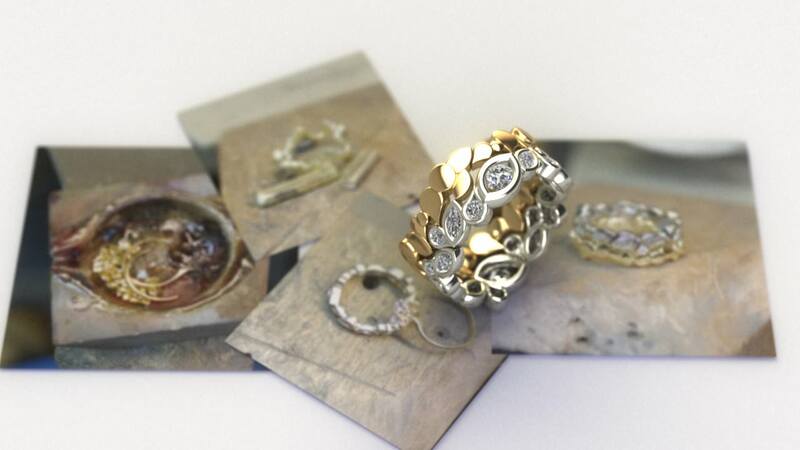 We often create new bespoke engagement rings which recycle the old ring completely. 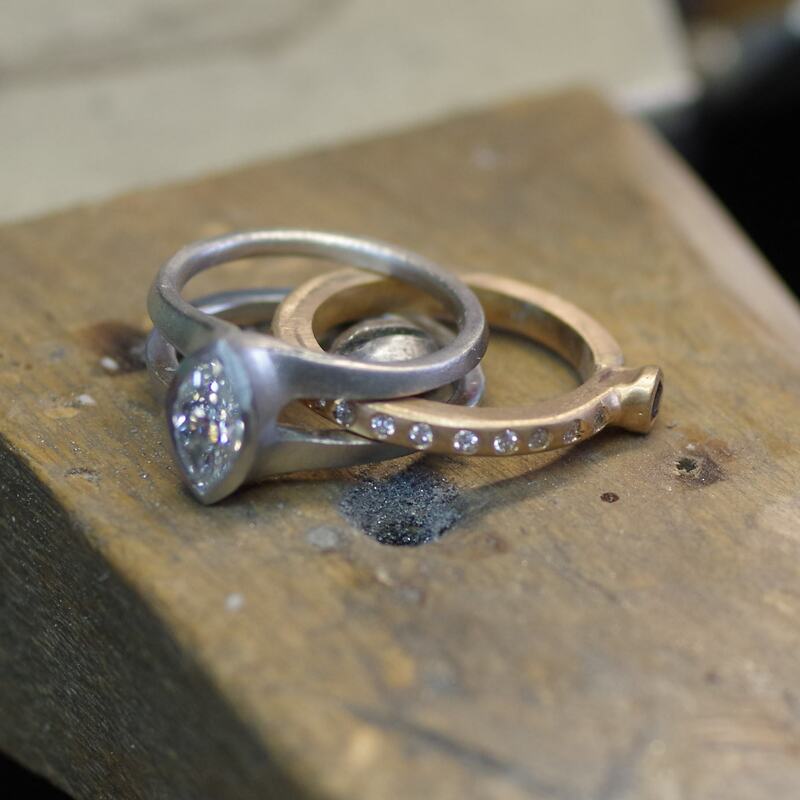 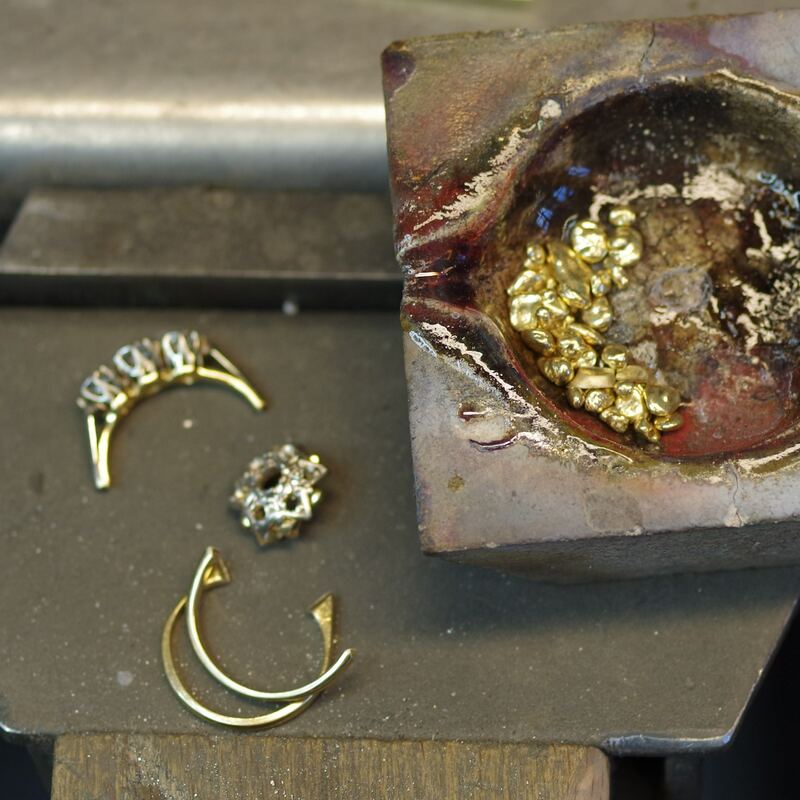 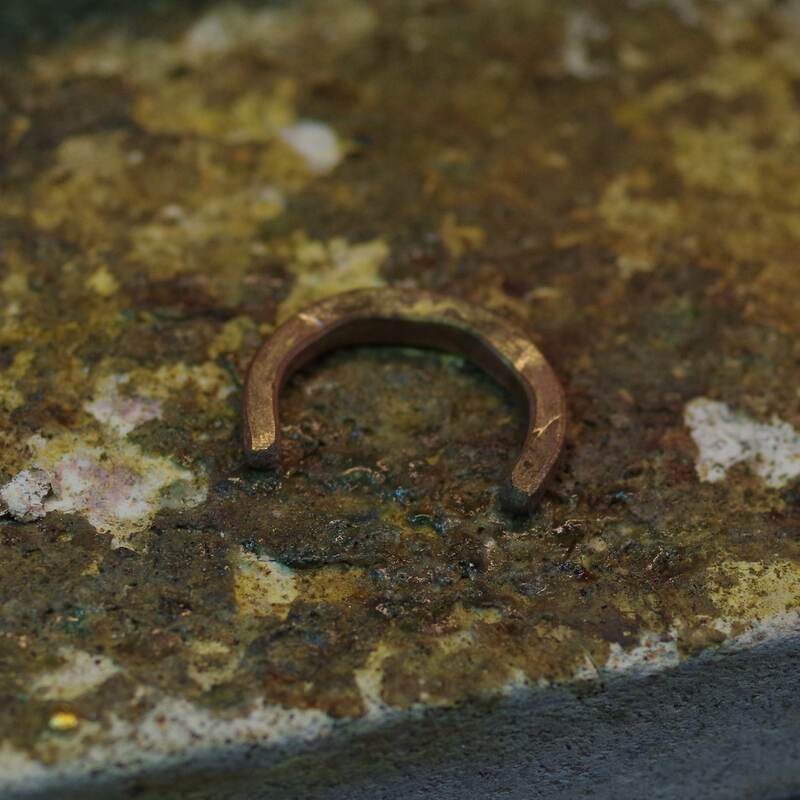 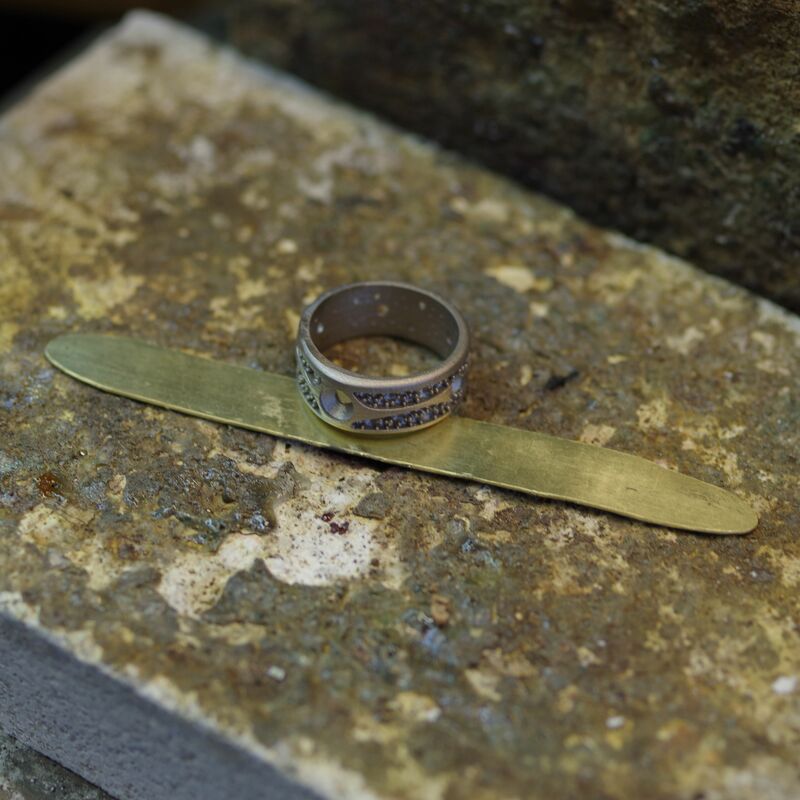 We melt down the Gold, Palladium or Platinum and incorporate this into the new bespoke engagement ring design, and often add in more diamonds, sapphires or rubies alongside original gemstones. 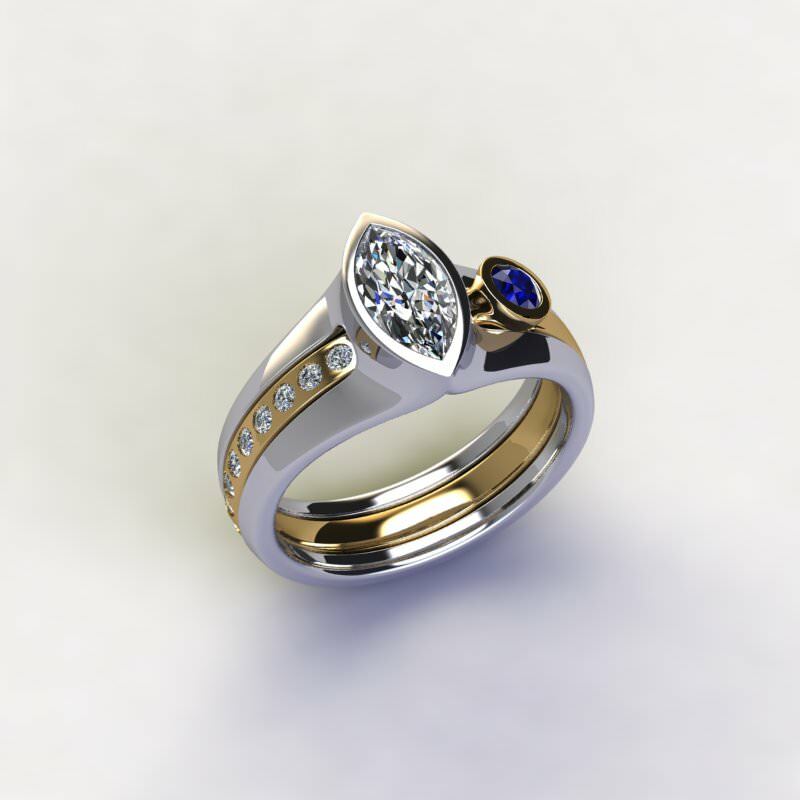 The end result is a new, uniquely designed, upgraded engagement ring.